Five weeks into 2019 and I’ve finished a few more miniatures from the massive pile of miniatures waiting to be painted. I didn’t get to paint as much. It turned cold, not as cold as what folks experienced up north, but cold enough that the Floozy spent more time with her hands wrapped around a warm cup of tea than with a paint brush. 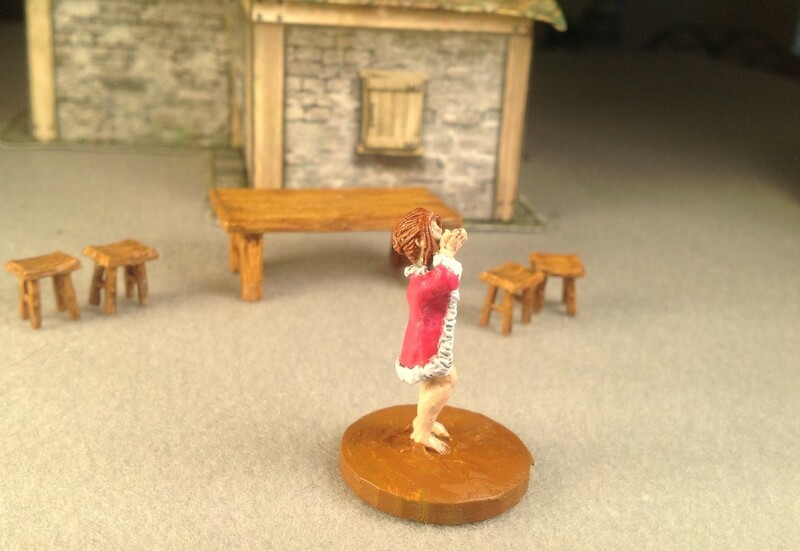 Technically, not a miniature figure – so this terrain piece will not count toward my miniature painting goal. 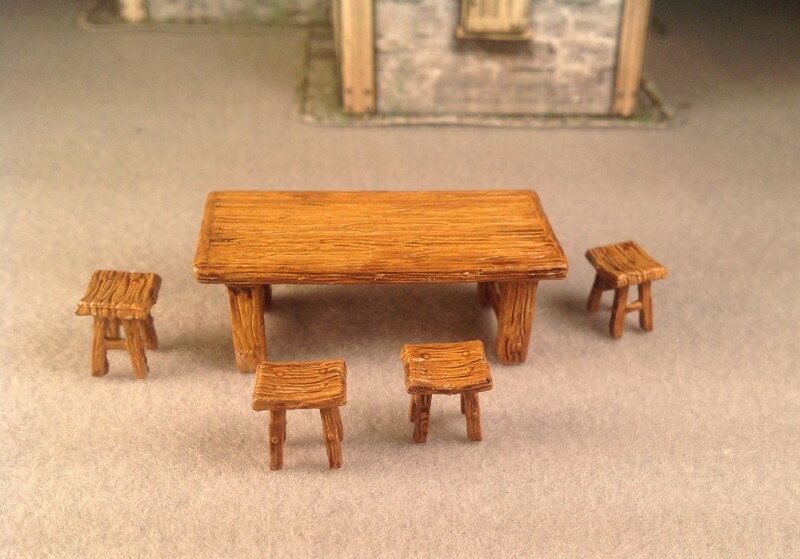 I painted the pre-primed wooden table and stools from the WizKids Deep Cuts unpainted miniatures line. It was easy to paint – you select the color you want the table to be, be sure to use thin coats of paint, add a brown wash & finally seal with a matt varnish. Here is another soiled dove from Knuckleduster which is out of production. 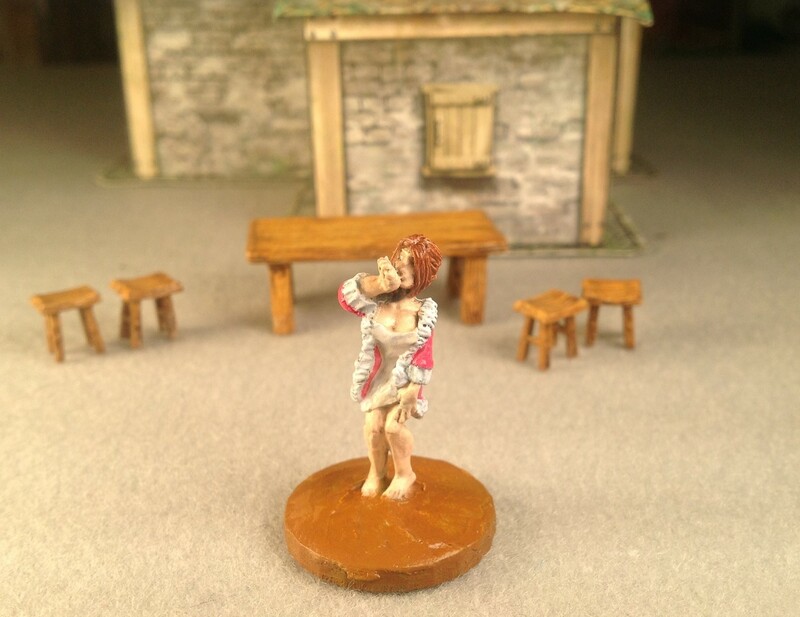 But don’t worry, Knuckleduster has a pack of newer and better sculpts of soiled doves available. The question is – is she yawning or blowing a kiss? 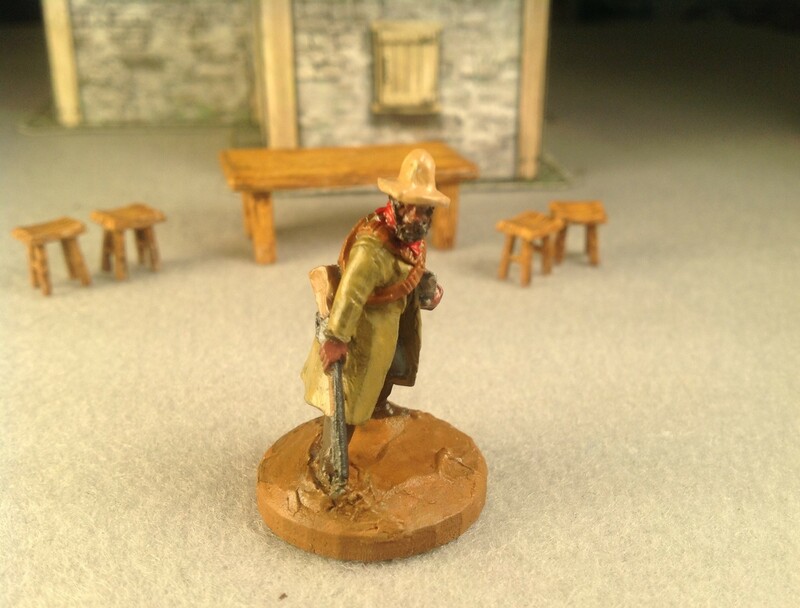 The final figures to come off of the painting table is from Westwind’s Cowboy Wars range. 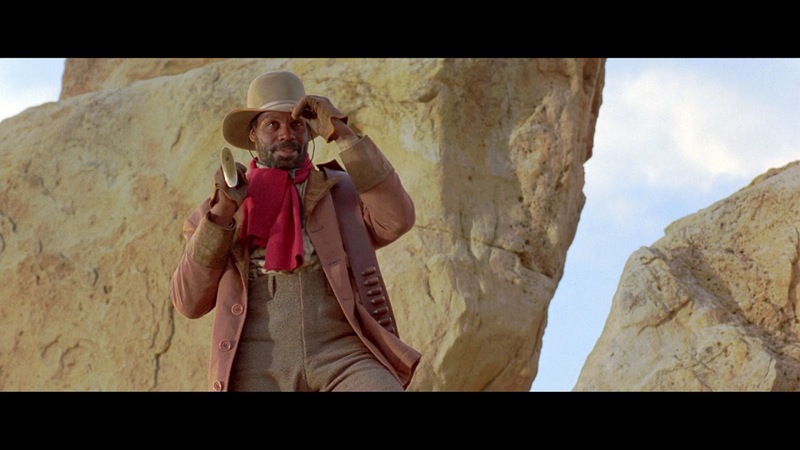 The figure is called “The Butcher”, a not-Mal Johnson figure from the movie Silverado. 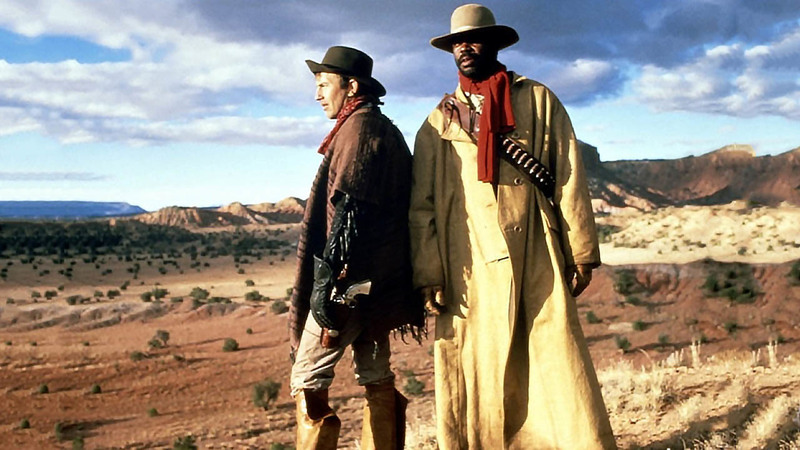 Mal Johnson was the name of the character played by Danny Glover. This character had worked in the slaughterhouses of Chicago before going west. 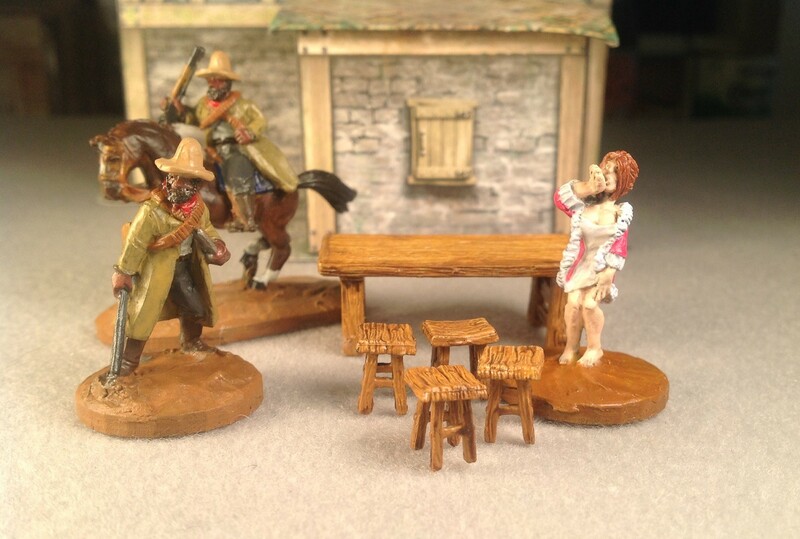 The Westwind Cowboy Wars figures have a lot of not-celebrity figures. In that line, you can find cast members of Bonanza, El Dorado, Silverado and several other Westerns. 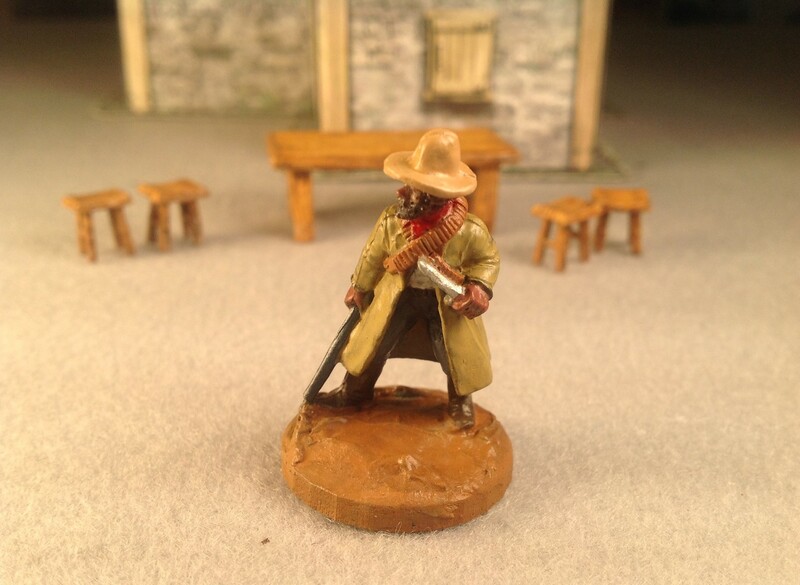 The major complaint (and it is one gamers have had for decades) is the Old Glory websites which sell the Cowboy Wars figures have the worst pictures and the worst pack descriptions of the miniatures. 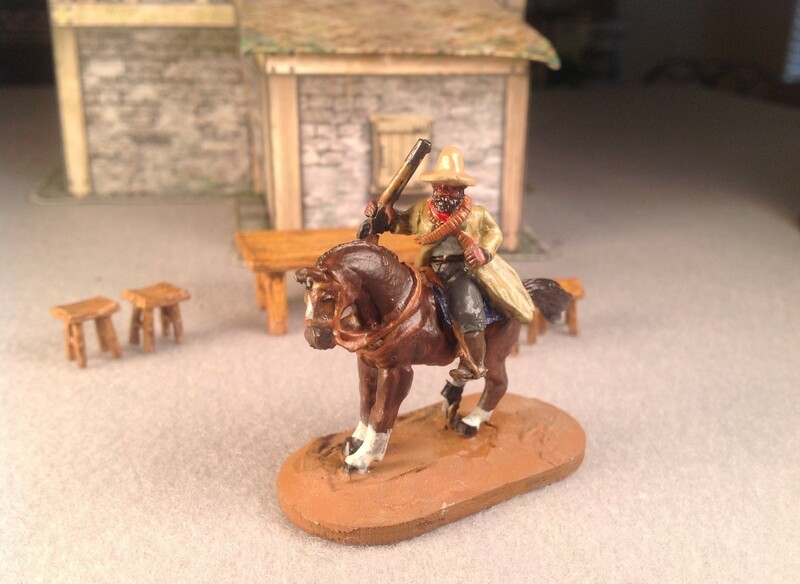 If you want to see what a figure from Westwind looks like, it is best to do a Google search on “Westwind Cowboy Wars” to find a listing and decent photos of the figures. * Doesn’t count toward goal totals. This comes to a total of 25 figures done so far this year. 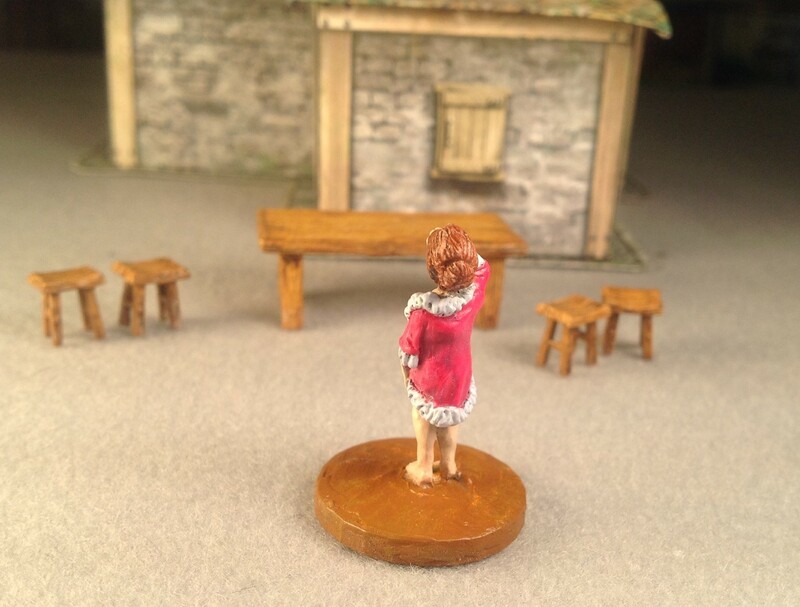 I shudder to think how many thousand I have left in the unpainted miniature pile. All pictures were taken using the ol’ iPad – no animals or Floozys were harmed or injured in the creation of this post. As usual, your comments, praise and obeisance are welcome!